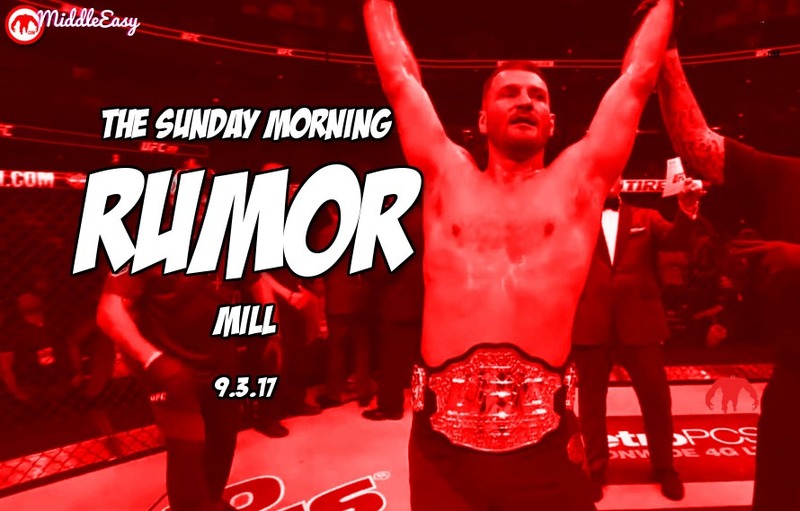 Welcome to the Sunday Morning Rumor Mill fold. In case you didn’t notice the final four months of 2017 is an all you can eat MMA buffet of events. Starting on September 9th the UFC alone will hold 15 live events before your personal sun dial clicks over to 2018. In December, the UFC will somehow hold five cards in a 31-day span. It’s not too late to start your own personal training camp from now until the end of the year to prep yourself for a full schedule of MMA goodness as Fall turns into Winter. The MMA world deserves itself a three-day weekend. Before you down some BBQ, a frosty cold beverage and jump in a body of water, give the Sunday Morning Rumor Mill a fist bump to acknowledge the long road ahead. Sources within Jon Jones camp are now more confident than ever that his USADA suspension will be reduced in some way. Despite the newfound confidence, in all likelihood a smaller sentence would still leave Jones on the shelf for at least one year.